Obituary for Kathleen A (Williams) Fortier | Boucher Funeral Home, Inc.
Kathleen A. 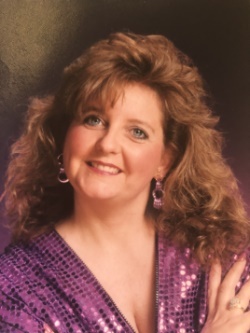 “Kathy” (Williams) Fortier, 60, of Gardner, died peacefully Tuesday, January 15, 2019 in her residence following an illness. Born in Gardner on March 6, 1958, she was the daughter of the late Joseph H. and Barbara (Sargant) Williams. Kathy graduated form Montachusett Vocational Technical High School of Fitchburg with the Class of 1977. She graduated from Henri’s School of Hair Design of Fitchburg in 1986, and was a Cosmetologist employed by Martha’s Hair Design of Gardner for 30 years. Kathy was a member of Crossroads Community Church of Fitchburg. She was previously a member of Excel Church Inc. of Leominster and Higher Ground Ministries of Gardner. Kathy was devoted to her faith and prayer. She treasured spending time with her family, and she also enjoyed swimming. She leaves her husband of 28 years, Robert M. Fortier of Gardner; daughter, Adrienne Watson and her husband James of Baldwinville; brother, Richard Williams and his wife Joann of Gardner; sisters, Carol Goguen of Athol, and Donna Fletcher and her husband Louis of Gardner; grandchildren, Arieana, Mya and Emma Watson; several nieces, nephews and cousins. A “Celebration of Life” will be held Saturday, February 2nd at 2:00 p.m. in Crossroads Community Church, 839 Ashby State Road, Fitchburg. Private graveside services will be held at a later date. At the family’s request, memorial contributions be made payable to the Boucher Funeral Home, Inc., PO Box 455, Gardner, MA 01440 to help assist with the funeral expenses.